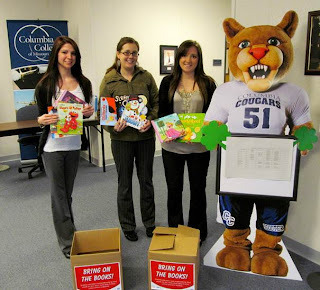 Pictured from left to right: Samantha Abbott, administrative assistant; Meghan Moran, Success by 6 associate; and Kelly Kugler, campus admissions manager. 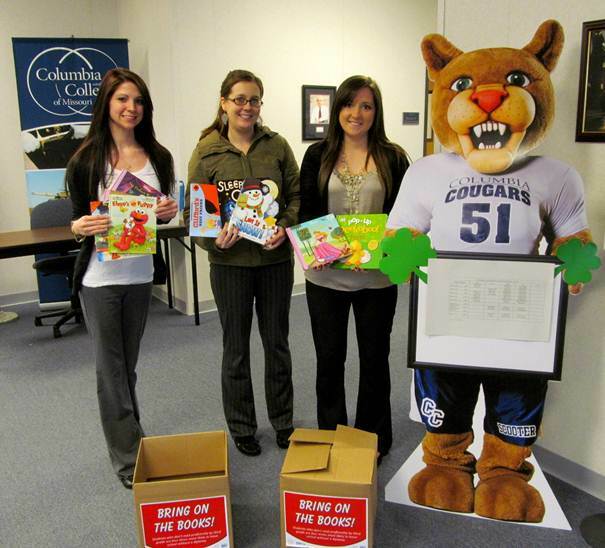 The Hancock Field campus recently held a book drive sponsored by United Way of Central New York to support Success by 6. Success By 6 is an organization whose mission is to ensure that children under the age of six enter school prepared to be successful throughout the years that follow. The initiative is spearheaded by the United Way as a neutral conveyor in the community capable of bringing business and civic representatives to the table as powerful friends of children. We are glad to be helping this organization with their goals of promoting educational success amongst our community’s youth. Friday, March 22, 2013 Chk out- Bring on the books!